The 5th, 6th and 7th designs in the 2015 MJSA Online Design Challenge are now online. Each year the MJSA hosts an exciting design competition held exclusively online for nine jewelry designers. 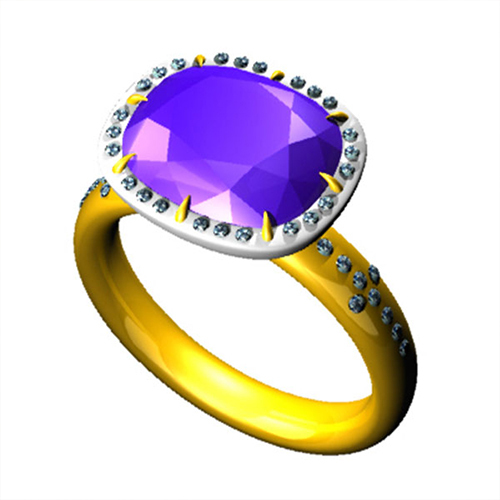 The designers are presented with a loose gemstone from Omi Gems (a 4.59 carat cushion purple fancy sapphire) and a fictional client story titled “A Little Piece of Home,” as inspiration for their designs. Read the story here. Chelsea Knights of Mark Schneider Designs in Long Beach, CA has created an engraved double helix inspired platinum Ring. 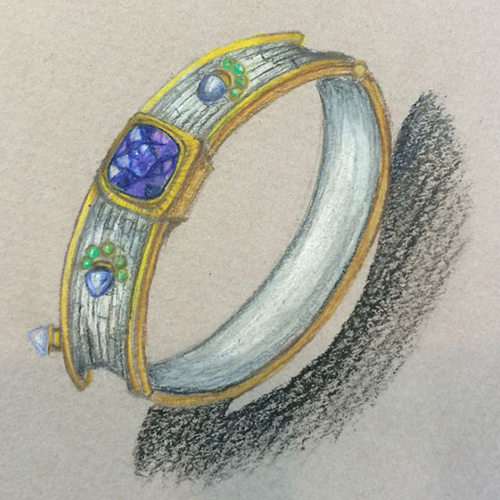 The purple sapphire center stone comes alive in this sterling silver and 18K yellow gold bangle bracelet design by Elizabeth Tokoly, owner of EatMetal in Hoboken, NJ. 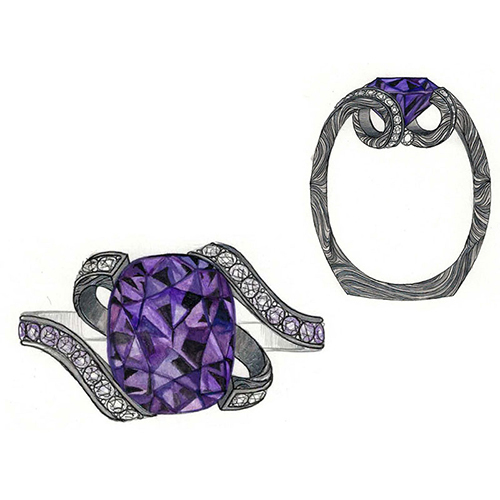 Adel Chefridi translates feelings into this modern and focused purple sapphire and diamond ring design. We’re excited to celebrate these designers and look forward to the upcoming creations. Follow us on Facebook, twitter or instagram for updates. This entry was posted in As Seen In, Fancy Sapphire, Gemstones, MJSA Design Challenge. Bookmark the permalink.